Our Little Acre: Proven Winners Does It For YOU! I recently was invited to attend one of the upcoming Proven Winners Outdoor Living Extravaganza days and if I can make it happen, I'm going to be there. My garden is chock full of Proven Winners, with most of them being purchased and planted long before I knew what I know now about the company. They're called Proven Winners for a reason. 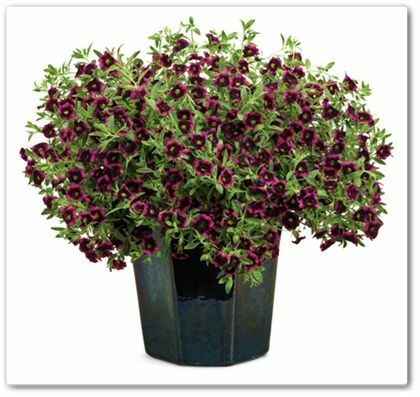 In my experience, these plants are strong and consistent performers, which gives me great confidence when purchasing them. They're respected among home gardeners and professionals alike. The folks at Proven Winners have a series of one-day seminars coming up at four locations across the country, where they will present information about their products in a fun way. You'll learn from the experts themselves about creative uses of color in the garden, how to put together their plants in containers, and they'll give you growing tips about the plant varieties, as well as other helpful information. The day begins at 8:30 A.M. A catered lunch will be served and snacks and beverages will be provided throughout the day. Each attendee will go home with a goody bag full of useful garden items which also includes a plant (!) There will be opportunities to win great prizes before the day wraps up at 4:00 P.M. Cost for the day-long event, including your lunch, is $80. Registration for each of these seminars is open now and filling up quickly. Watch the short trailer below and if you want to attend, you can register here. But don't put it off or you may be left out because someone else beat you to a seat! You can read more about the retreat/seminar, including who the speakers and topics will be at each location by visiting the Proven Winners website. You had better travel south Kylee. LOL! It sounds like a fun getaway.